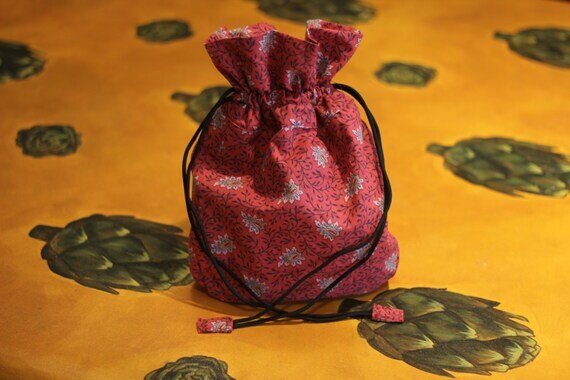 This is a red print, bohemian style cinch bag measuring approximately 9" wide x 13" tall by 2" deep. It is lined with the same fabric and has a pocket on the inside. It can be worn over the shoulder or as a backpack. It was made from leftover fabric scraps that would otherwise have been discarded. Red Crocheted Bag lined and pretty.